Your Guide to Using Transferable Points for Award Flights to Australia! Whether you want to visit Australia for its incredible beaches, amazing wineries and wildlife, or to learn about the nation’s impressive history, miles and points can help you get there! Unfortunately, flights to Australia aren’t always cheap… or convenient! Even if you live in Texas or California and can fly non-stop, you’ll still be looking at 14 to 16 hours of plane travel each way. That’s why I recommend you redeem miles and points from one of the best credit cards for travel to make the most of your Australia vacation, and maybe even splurge to fly in Business Class. Here’s how to use transferable points for award flights to Australia. I’ll share tips on how to use transferable points to fly to Australia, starting with Chase Ultimate Rewards. And in the coming weeks, we’ll publish more information on how to use other transferable points (like AMEX Membership Rewards and Citi ThankYou points) to get to Australia, too! To keep things simple, I’ll cover the best ways to fly in and out of Sydney. 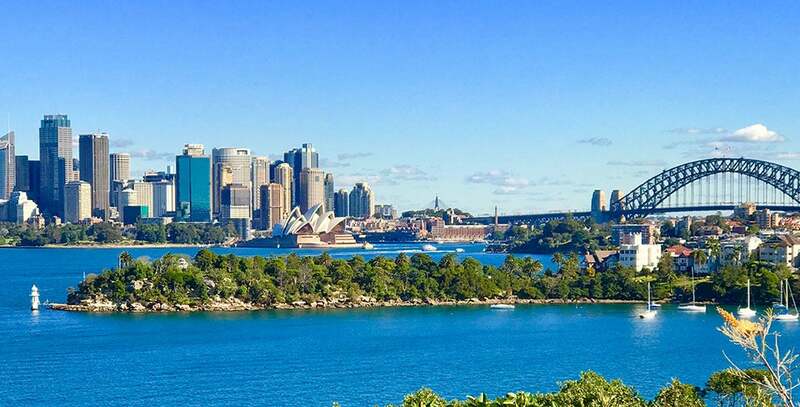 If you weren’t planning on visiting Sydney, you should add it to your list! After just a few nights staying at the Park Hyatt Sydney and enjoying the gorgeous architecture and pristine beaches, Sydney became my favorite city in the world! 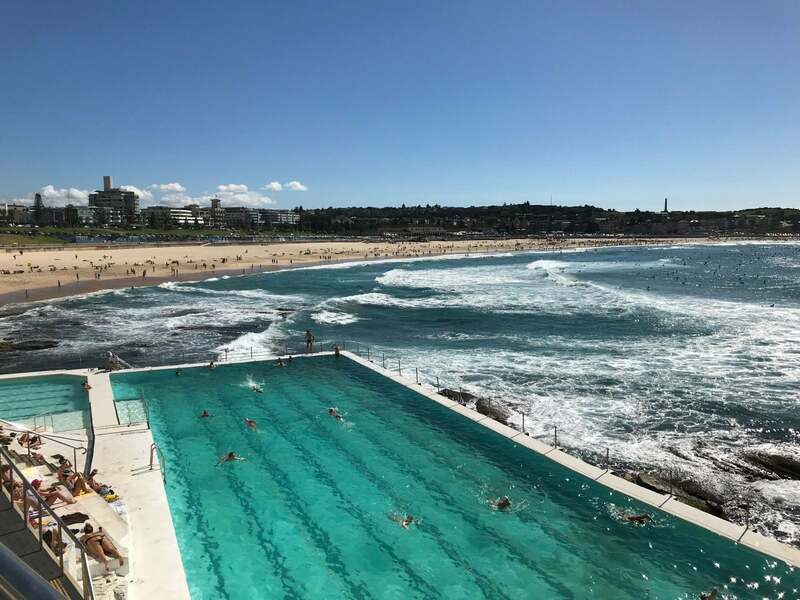 Visiting the Bondi Beach Icebergs Club Was a Bucket List Item for Me, and It Only Cost ~$10! Transfer ratio: How many points do you need to transfer to get the number of miles you need? Transfer time: How long does it usually take to transfer your points to the airline? This is important because you don’t want to find an award only to see it disappear while you’re waiting for the miles to show up in your account. Award Prices: How many miles will it take to book a flight to Australia with a particular airline? Partner Award Prices: You can use most airline miles to book award flights on their partner airlines. For example, you can use United Airlines miles to book award seats on Asiana. However, typically airlines have different award charts for their partner airlines. And partner award seats are usually harder to find because in many cases, you’ll only be able to book the lowest priced (i.e. Saver level) awards. Also, sometimes airlines don’t allow partner bookings for Business or First Class seats. Fuel Surcharges: When you book an award ticket, you’ll always have to pay for taxes and fees, which can be very high depending on where you’re going (i.e. London). But some airlines also add fuel surcharges, in addition to the taxes and fees. This can add $100s to the ticket cost. So I’ll let you know whether or not you can expect these types of charges with each particular airline. Pros: What are the reasons you’d want to transfer points to an airline? Cons: What are the downsides of transferring points to an airline? Other notes: If there are any special rules, tips, or ticks you should know for the airline, they’ll be covered here. British Airways operates a distance-based award chart, so British Airways Avios points aren’t the most universally useful. Australia is such a far distance from the continental US that using British Airways Avios points isn’t the best deal. And with British Airways, you’ll pay based on the distance of the flight segment, NOT the total flight distance. So shorter non-stop flights can be a good deal, but if you need a connecting flight you’ll pay extra for it! Award Prices: British Airways operates a distance-based award chart. You can use the Great Circle Mapper to estimate the distance of each segment of your flight. Partner Award Prices: British Airways uses the same chart for their awards and partner awards unless you book a flight with 2+ or more partner airlines. In that case, you’ll want to reference this chart. You’ll notice that the prices aren’t good and the fees are hefty. With almost all partner awards, you can only book the peak price. With British Airways Avios points, you can book Qantas flights under 650 miles within Australia for 4,500 Avios points one-way + taxes & fees. Qantas and American Airlines fly non-stop from the US to Australia from San Francisco, Los Angeles, and Dallas. 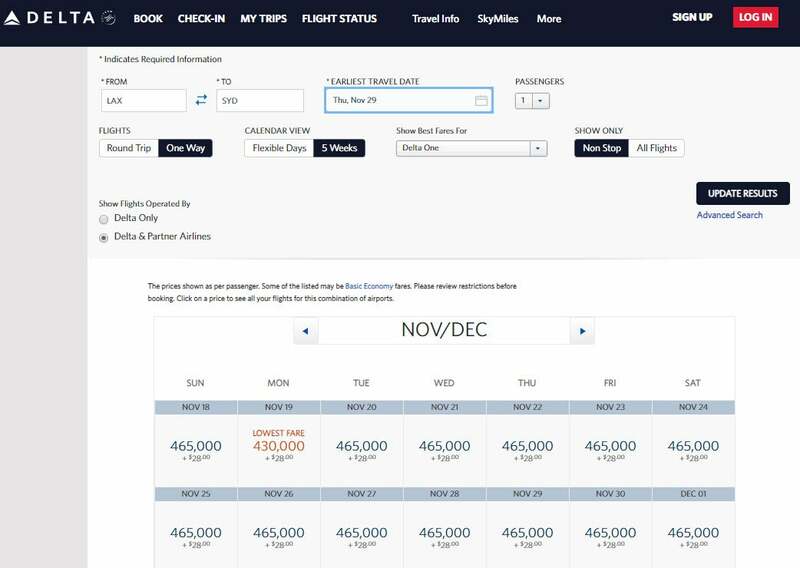 But all of those flights are over 7,000 miles, so you’ll pay at least 32,500 British Airways Avios points plus taxes and fees for one-way award flights in coach. Other notes: For more tips check out our complete guide to British Airways Avios points! Iberia operates a distance-based award chart, just like British Airways. And you can even transfer Avios points in between your Iberia & British Airways account. But you’ll have to jump through a few hoops to do it. Iberia is a member of the oneworld alliance, so you’ll be able to book partner awards flights with Qantas and American Airlines. You can also book award flights to Australia by routing through Asia on Japan Airlines and Cathay Pacific. But that would make a very long journey even longer! Partner Award Prices: Iberia has a separate award chart for each of their partner airlines, although most are exactly the same. You’ll pay based on the total distance of the flight. And for most partners, you’re only allowed to book round-trip award flights. If you are booking an award with more than one oneworld partner, then you’ll use the award chart below. And it is the same chart as the award charts for flights with American Airlines and Qantas, which are 2 of the more useful partners for flying to Australia. Non-stop round-trip flights from the US to Australia will be between 14,000 to 18,000 miles in distance (ouch! ), so I’ve highlighted those award prices. The best deals will be on the shortest flights, so you’ll want to look for non-stop flights on American Airlines or Qantas. Pros: Easy to earn – they transfer from AMEX Membership Rewards, Chase Ultimate Rewards, Marriott, and British Airways. Or, you can sign up for the Iberia credit card from Chase! Flying Blue is the rewards program of both Air France and KLM, and you can use Flying Blue miles to book travel to Australia on Delta! Fuel Surcharges: Flying Blue does pass on fuel surcharges on other flights, but Delta’s fees are reasonable and will cost ~$100 per person each way. Pros: Even though the Flying Blue price calculator can be hit or miss, their award search engine does a pretty good job. The award calendar is a great bonus! Cons: Can be tough to find available award seats on Delta, especially if you need to connect in the contiguous US. Singapore Airlines miles are not particularly useful for getting to Australia. That’s because you will be better off booking non-stop flights with United Airlines miles, which I’ll detail below. The biggest advantage of Singapore Airlines miles is how easy they are to earn. You can transfer points from Citi ThankYou, Chase Ultimate Rewards, AMEX Membership Rewards, and Marriott / Starwood to Singapore Airlines. So if you don’t have enough flexible points to get to Australia in any single program, you can easily combine points together and book award flights with Singapore Airlines miles. Award Prices: You could use Singapore Airlines to fly from the US to Australia, but that would include lots of flying! For example, you could fly from Los Angeles to Tokyo to Singapore to Sydney, but that would take nearly 2 days of your vacation! And that routing would also cost a significant amount of miles. Instead, I would search for flights on United Airlines or Air New Zealand and look at Singapore Airlines Star Alliance partner award chart. 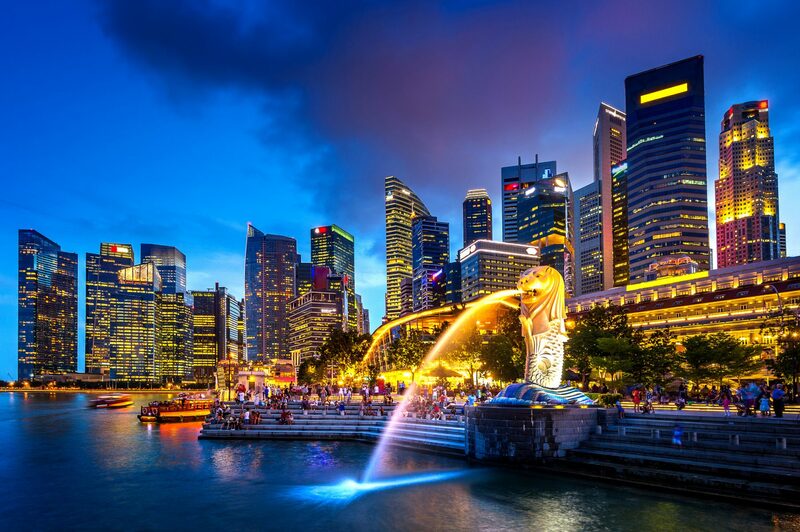 Singapore Is a Fantastic Place to Visit but Stopping Here Would Make for a LONG Trip to Australia! You’ll pay 60,000 Singapore Airlines miles for a one-way flight in coach from the US to Australia. And award flights in Business or First Class are even more outrageously priced at 117,000 miles and 152,500 miles, respectively. Ouch! That’s why I don’t recommend transferring Chase Ultimate Rewards to Singapore Airlines for award flights to Australia unless you need to combine points across multiple flexible currencies. Fuel Surcharges: Singapore Airlines does not add fuel surcharges to their own flights. But if you’re booking a partner award flight you’ll pay fuel surcharges when the airline you’re flying with has them. Most Asian airlines add hefty fuel surcharges. But others, like United Airlines, don’t have any fuel surcharges. Other notes: You are allowed 1 stopover (layover of 24+ hours) & 1 open jaw (origin or destination is not the same) on round-trip Saver award flights. You can add stopovers on award flights for $100 each (up to 3 total), but you can’t book them online. United Airlines is probably my favorite Chase Ultimate Rewards transfer partner for award flights to Australia because of simplicity and available award seats. But remember that United Airlines prices their awards as “Saver” awards and “Everyday” awards. Saver awards are much cheaper, so those are what you’ll want to find and book. Everyday awards can be obscenely expensive and are typically NOT a good deal. United Airlines’ International Business Class Might Not Be Industry Leading, but It Sure Makes the ~16-Hour Journey to Sydney More Enjoyable! Fuel Surcharges: Thankfully, United Airlines does not add fuel surcharges for their award flights or partner award flights! United Offers Generous Amounts of Award Seats to Australia, but Check the Weather Before You Go! Cons: Business & First Class partner awards and Everyday Awards are expensive! United Airlines charges a booking fee of $75 for award flights booked within 21 days of departure. But you might be able to avoid it with this trick! If you have one of the Chase United Airlines credit cards or United Airlines elite status, you’ll have access to more available award seats! For more on how to book awards with United Airlines miles check out our Ultimate Guide to United Airlines Miles! Virgin Atlantic doesn’t fly to Australia, but they are worth mentioning because they partner with Virgin Australia. And you can fly non-stop from Los Angeles to Brisbane, Melbourne, and Sydney using your Virgin Atlantic Miles. Partner Award Prices: Virgin Atlantic has a different award chart for each partner airline. You can check them out here. But the only useful partners for flights to Australia are Virgin Australia and Delta. All the prices below are for round-trip awards – but in my experience you CAN book one-way award flights on Virgin Australia using your Virgin Atlantic miles. These prices aren’t outrageous, but if you have Chase Ultimate Rewards I prefer to transfer them elsewhere. But for folks who already have Virgin Atlantic miles and can find the available award seats (which is notoriously tough in Business Class! ), this can be a viable option. Although award flights on Delta look like a great deal (which they are! ), award seats on Delta flights can be difficult to find at the “saver level” which is required to book with Virgin Atlantic miles. Unfortunately, you cannot book partner award flights online. You’ll have to book them over the phone (800-365-9500). Fuel Surcharges: Yes, but the fuel surcharges are reasonable, typically around ~$110 per person, each way. Pros: You can transfer Chase Ultimate Rewards, AMEX Membership Rewards, Citi ThankYou, and Marriott / Starwood points to Virgin Atlantic – so they’re easy to earn! The easiest place to search for award flights on Virgin Australia is Delta.com, then call Virgin Atlantic to book the flights. Although award flights on both Virgin Australia and Delta are hard to find, Virgin Australia consistently releases award seats within 5 days of departure. So keep that in mind if you’re really flexible or don’t mind gambling with your dates! Depending on how much your plane tickets cost, it doesn’t always make sense to transfer Chase Ultimate Rewards points to airline partners for award flights. Instead, you might save points by booking a cheap fare through the Chase Ultimate Rewards travel portal. Whether or not it makes sense to book through Chase Travel will depend on a few things: How much the ticket costs, what transfer partner you would be using, and which Chase card(s) you have. Generally, the cheaper your plane ticket is, the more likely it makes sense to redeem points through Chase travel instead of through a transfer partner. Depending on what miles you are using, these numbers wouldn’t necessarily be the same. To find out what the breakeven price would be, take the numbers required and multiply by the value of your Chase points. For example, 40,000 United Airlines miles X 0.015 (for the Chase Sapphire Reserve) = $600. In this case, you would be better off booking through the Chase Ultimate Rewards travel portal if you have the Chase Sapphire Reserve, Chase Sapphire Preferred, or Chase Ink Business Preferred compared to transferring and paying 80,000 United Airlines miles for an award ticket. But remember that Business Class flights will typically cost considerably more when paying cash, so redeeming miles will often be the better value. Especially if you can afford the extra miles, using Chase Ultimate rewards to fly Business Class down under can make your long travel time much more comfortable! To find out how many points you need for a given ticket price when booked through the Chase Ultimate Rewards travel portal, take the ticket price and divide by the value of your Chase points depending on what Chase card you have. To use our example from above, $900 / 0.015 (for the Chase Sapphire Reserve) = 60,000 Chase Ultimate Rewards points. Two other benefits to redeeming your points through the Chase Ultimate Rewards travel portal is that you don’t have to worry about finding available award seats or blackout dates. As long as there’s a seat available for sale, you will be able to book it, and you’ll also earn frequent flyer miles and credit toward status for your airline ticket! AMEX Membership Rewards points are very helpful for getting to most cities in Australia because, as you’ll see, they have lots of useful airline transfer partners. And they are easy to earn! If you’ve got a collection of AMEX Membership Rewards points, I would continue to focus on using your miles for flights on a Star Alliance airline. That’s because AMEX Membership Rewards points transfer to ANA and Aeroplan (both Star Alliance members) at a 1:1 ratio. But one of the best things about AMEX Membership Rewards points is the frequent transfer bonuses they have with their partner airlines. 60,000 AMEX Membership Rewards points after spending $5,000 on purchases within the first 3 months of opening your account. Terms Apply. 50,000 Membership Rewards points after spending $10,000 on purchases in the first 3 months of opening your account, plus earn an extra 25,000 AMEX Membership Rewards points after spending an additional $10,000 on qualifying purchases within the first 3 months of opening your account. Terms Apply. 35,000 AMEX Membership Rewards points after spending $2,000 on purchases within the first 3 months of opening your account. Terms Apply. 35,000 AMEX Membership Rewards points after spending $5,000 on purchases within the first 3 months of opening your account. Terms Apply. 5,000 AMEX Membership Rewards points after your first purchase on the card. Terms Apply. 15,000 AMEX Membership Rewards points after spending $1,000 on purchases within the first 3 months of opening your account. Terms Apply. 10,000 AMEX Membership Rewards points after spending $1,000 on purchases within the first 3 months of opening your account. Terms Apply. 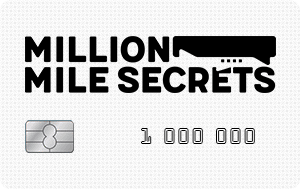 The information for the AMEX EveryDay Preferred Credit Card and AMEX EveryDay Credit Card has been collected independently by Million Mile Secrets. The card details on this page have not been reviewed or provided by the card issuer. Aeroplan is Air Canada’s loyalty program and is part of the Star Alliance. Aeroplan is also partners with Cathay Pacific, however you can only redeem Aeroplan miles on a few select Cathay Pacific routes, none of which will get you to Australia. Overall, Air Canada Aeroplan offers very competitive award flight prices for folks visiting Australia. And by making the most of their partnership with the other Star Alliance airlines, Air Canada Aeroplan award availability for flights Down Under is some of the best out there. 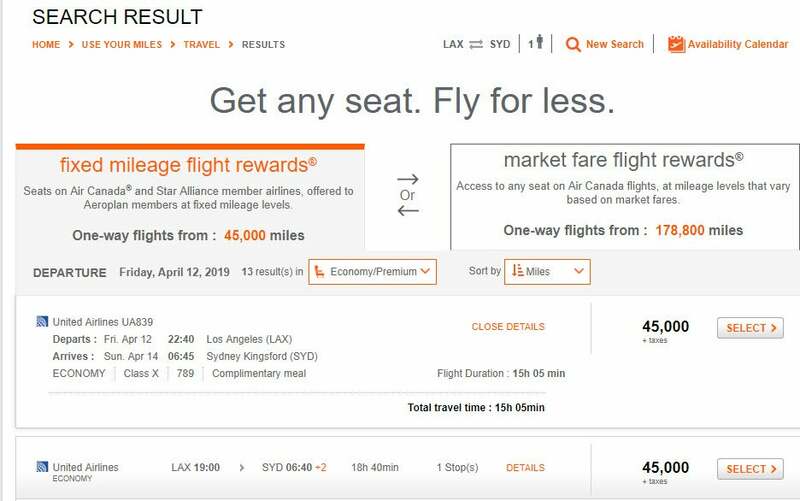 Award Prices: A round-trip flight to Australia costs 90,000 Air Canada Aeroplan miles in coach, 160,000 Air Canada Aeroplan miles in Business Class, and 220,000 Air Canada Aeroplan miles in First Class. 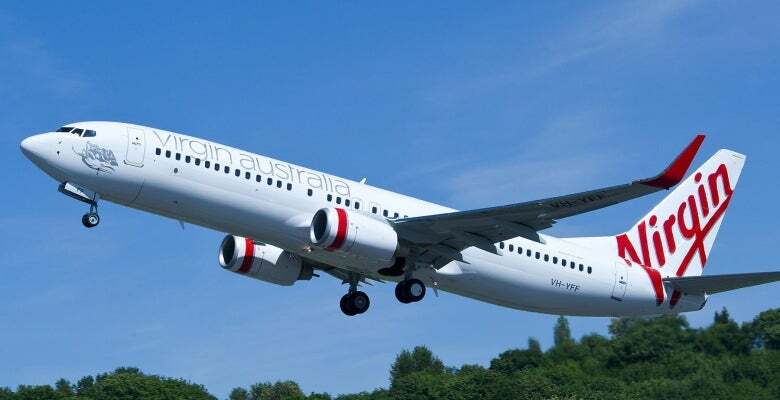 Award Flights to Australia in Coach Are Readily Available! One-way awards cost half of the Air Canada Aeroplan miles required for round-trip flights. Partner Award Prices: Aeroplan doesn’t have a separate award chart for partner awards. But they partner with useful airlines for getting to Australia, like United Airlines & Asiana. Fuel Surcharges: Yes, but not with all of their partners. If you want to avoid these extra fees try booking partner award flights with United Airlines. Cons: Fuel surcharges on some flights, and routing to Australia via Asia can make for a very long travel day! For more tips, check out our guide to using Aeroplan miles. ANA (All Nippon Airways) is one of the best options for booking award flights to Australia. They have incredible award prices for travel on ANA flights and good partner award chart prices as well. The biggest drawbacks are how complicated and confusing ANA’s award charts and rules are, and potentially higher taxes & fees on award flights. I’ll keep things as simple as possible by only including information that is relevant to award flights to and from Australia. Award Prices: Flights from North America to Australia with ANA vary in price depending on whether your flights are on ANA or one of their Star Alliance partners. 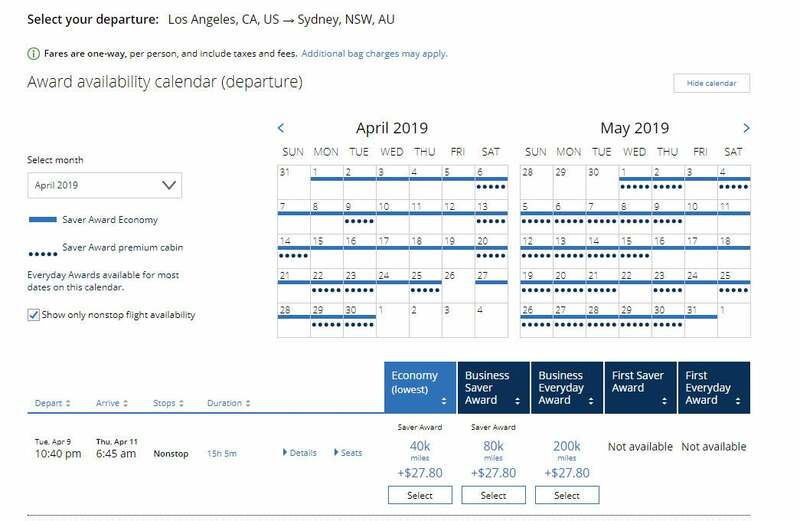 ANA Award Prices: Round-trip award flights from the US to Australia on ANA cost 65,000 ANA miles in coach, 110,000 ANA miles in Business Class, and 210,000 ANA miles in First Class. Partner Award Prices: ANA has the same Star Alliance partners as Air Canada Aeroplan and United Airlines, but you’ll pay less if you can find flights on ANA. Round-trip award flights between the US and Australia on one of ANA’s partner airlines cost 75,000 ANA miles in coach, 120,000 ANA miles in Business Class, and 225,000 ANA miles in First Class. You can NOT book one-way partner award flights, so all the prices listed are for round-trip tickets only. And there is only one award chart for the entire year. It’s not uncommon for there to be an AMEX Membership Rewards transfer bonus to British Airways. And they can be quite generous, which could make British Airways a useful option. For more details on using British Airways Avios points to get to Australia, check the Chase Ultimate Rewards points section. Cathay Pacific operates a distance based award chart. And they are a member of the oneworld alliance, which includes American Airlines & Qantas! Cathay Pacific’s award program is fairly convoluted and tricky, so I don’t recommend it for most people. But if you can find award seats on Qantas, Asia miles are actually quite valuable for flights between the US and Australia. 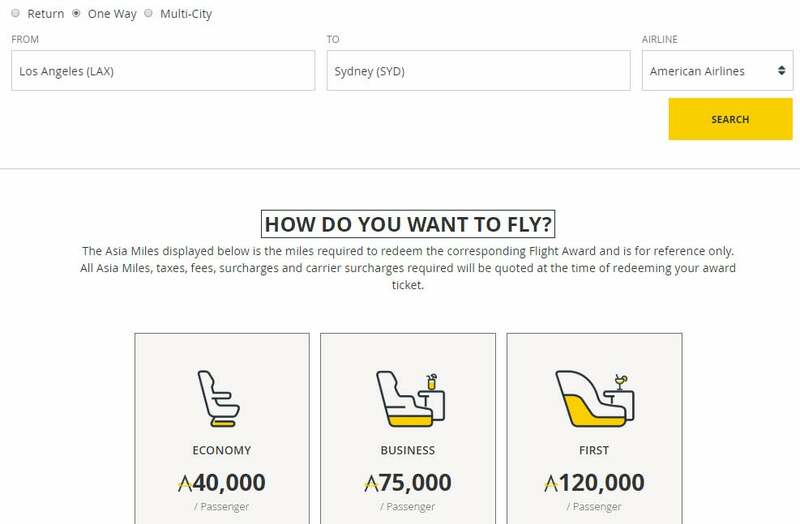 Award Prices: For flights on Qantas between Australia and the US, you’ll pay 40,000 Asia miles one-way in coach, 50,000 Asia miles one-way in Premium Economy, 75,000 Asia miles one-way in Business Class, and 120,000 Asia miles one-way in First Class. If you want to fly with one of Cathay Pacific’s other partner airlines, you can calculate the mileage for your award here. In general, your best bet will be award flights on Qantas. Partner Award Prices: The most useful Cathay Pacific partners for getting to Australia are American Airlines and Qantas. Most folks would rather avoid connecting in Cathay Pacific’s Hong Kong hub when traveling between the US and Australia. If you are booking an award which includes only 1 partner airline or 1 partner airline and Cathay Pacific or Cathay Dragon, then you’ll use the “Asia Miles Standard Award” chart. A Standard Award round-trip award flight can have up to 3 stopovers and 1 open-jaw, but the rules are complicated, and this doesn’t apply to all award flights. You can read more about the stopover and open-jaw rules under #5 in the terms. For oneworld multi-carrier flights, the stopover and open-jaw policy looks like it could be even more generous. But I can’t easily figure it out, and I’m not sure how practical it is for most flights to Australia, regardless. Sometimes you’ll get a phone agent that doesn’t completely understand Cathay Pacific’s convoluted award booking rules. Don’t be afraid to hang up and call again. Delta no longer publishes an award chart. So it’s a bit of a guessing game estimating how many Delta miles it will cost to get to Australia. And they are a part of the SkyTeam alliance, which doesn’t include any of Australia’s major airlines. But Delta does have frequent award flash sales! So this is a good option to keep in your back pocket in case a good deal pops up. Award Prices: Delta doesn’t have an award chart. But I found one-way coach flights starting at 40,000 Delta miles and one-way Business Class award seats starting at… 430,000 Delta miles. I Sure Hope Delta Releases Some Award Flights for Less than Half a Million Miles One-Way! Partner Award Prices: No partner award chart, but partner awards to Australia are difficult to find, and typically only available on Virgin Australia. Delta’s had award flight sales between the US and Australia for as few as 50,000 Delta miles round-trip. Keep an eye out for future award sales! Hawaiian Airlines has terrible award prices for flights from the US to Australia. They also don’t have any non-stop flights to Australia and you aren’t allowed a stopover in Hawaii, which is the only reason I’d want to connect in Hawaii on my way to Australia. In addition, it’s very difficult to find low-level award flights, so that only increases the cost! That said, there have been transfer bonuses to Hawaiian Airlines in the past, so that could make this a more interesting opportunity, but only if you want to top up your Hawaiian Airlines account for an award flight. Award Prices: The prices listed in the chart below are for one-way award tickets. 60,000 Hawaiian Airlines miles for a one-way flight in coach is pretty steep! The Award Prices Are Fairly Steep for One-Way Flights! Partner Award Prices: No practical partner award options for flights to Australia. But If You Can Find Award Flights, Maybe the Friendly Hawaiian Service Is Worth the Detour! This is only a useful option if you already have a collection of Hawaiian Airlines miles and only need to transfer some AMEX Membership Rewards points over to top off your account, or if you live in Hawaii. 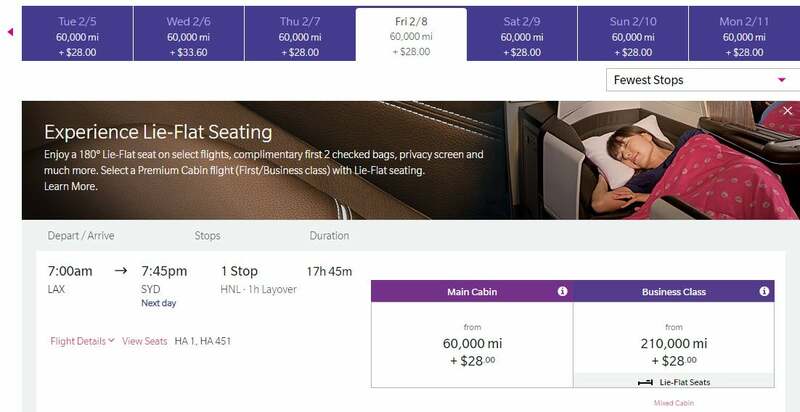 You can technically use Hawaiian Airlines miles for award flights on Virgin Australia, but you’d have to book round-trip and a flight in coach would cost 100,000 Hawaiian Airlines miles! I would pass on this option, because Delta should see the same award flights and charge you way less! Iberia operates a distance-based award chart, just like British Airways. And you can even transfer Avios points between your Iberia & British Airways account. Iberia is a member of the oneworld alliance, so you’ll be able to book partner award flights with Japan Airlines, American Airlines, Qantas, and Cathay Pacific! For more details on using Iberia Avios points to get to Australia, check the Chase Ultimate Rewards points section. Singapore Airlines miles are not particularly useful for getting to Australia. But they are easy to earn. You can transfer points from Citi ThankYou, Chase Ultimate Rewards, AMEX Membership Rewards, and Marriott to Singapore Airlines. So if you don’t have enough flexible points to get to Australia in any single program, you can easily combine points together and book award flights with Singapore Airlines miles. See the Singapore Airlines notes under the Chase Ultimate Rewards section for more details. Virgin Atlantic doesn’t fly to Australia, but they are worth mentioning because they have decent award flight prices for travel on their partner airline, Virgin Australia. Plus, Virgin Atlantic miles are super easy to collect because they partner with 3 transferable points currencies (and Marriott, as well!). You’ll also frequently see transfer bonuses to Virgin Atlantic, making them even easier to earn. See the Virgin Atlantic notes under the Chase Ultimate Rewards section for more details. It doesn’t always make sense to transfer AMEX Membership Rewards points to airline partners for award flights. Instead, you might save points by booking a cheap fare through AMEX Travel. Whether or not it makes sense to book through AMEX Travel will depend on a couple of things: How much the ticket costs, what transfer partner you would be using, and possibly on what AMEX card you have. Usually, the AMEX card that you have won’t make a difference as to how much your points are worth. For most cards, your Membership Rewards points are worth just 1 cent each when redeemed for airfare. But, there’s one exception! If you have The Business Platinum® Card from American Express, you’ll get 35% of your redeemed points back in 2 cases: If you’re booking Business or First Class airfare on any airline, and if you’re booking coach on your airline of choice (the same airline that you’ve chosen to get the $200 airline fee credit reimbursement from). In these cases, your AMEX points are worth ~1.54 cents each when you factor in the rebate. Generally, the cheaper your plane ticket is, the more likely it makes sense to redeem points through AMEX Travel instead of through a transfer partner. Citi ThankYou points are another great option if you want to book award flights to Australia. Like Chase Ultimate Rewards and AMEX Membership Rewards points, they have a number of useful airline transfer partners (and some of the partners even overlap!). You can earn Citi ThankYou points from cards like the Citi Premier℠ Card. LifeMiles is the mileage program for Star Alliance member Avianca, and often has big sales for folks interested in purchasing Lifemiles. This might work out if you’re ok spending some cash on your trip, but we prefer to transfer points and miles to save money! Avianca offers fair award pricing to Australia, but also has good award availability due to their partnership airlines. Because United Airlines is also part of Star Alliance, you can redeem Avianca miles for travel on United Airlines. Award Prices: Avianca splits the US up into multiple regions: United States 1, United States 2, and United States 3. However, for flights between the US and Australia, it doesn’t matter where you are flying from or to – the prices are the same. 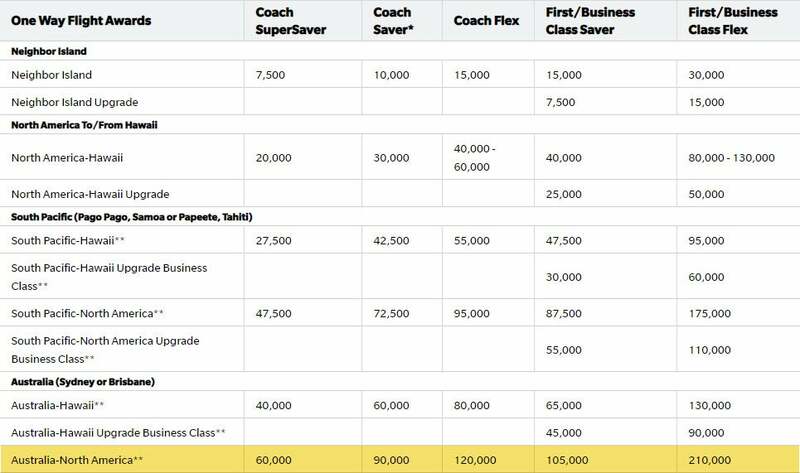 If you want to fly in coach (X), it costs 40,000 Avianca miles each way, Business Class (I) costs 80,000 Avianca miles each way, and First Class (O) costs 96,580 Avianca miles each way. Note: Lifemiles award prices differ for flights in First Class and Business Class depending on the length of each sector in each cabin. These award prices are very reasonable, and comparable to other Star Alliance award charts. Some folks prefer this option because they would rather save their United Airlines miles or Air Canada Aeroplan miles for other bookings. Fuel Surcharges: Low—typically not more than ~$100 one way per person. Pros: Good award flight prices, solid number of available award flights. Cons: Sometimes shows ‘phantom’ award flights. Cathay Pacific Asia Miles is also a Citi ThankYou transfer partner. They operate on a distance-based award chart, and therefore offer poor value on the long flights Down Under. For more information on using Asia Miles to get to Australia, check out the AMEX Membership Rewards section of this post. 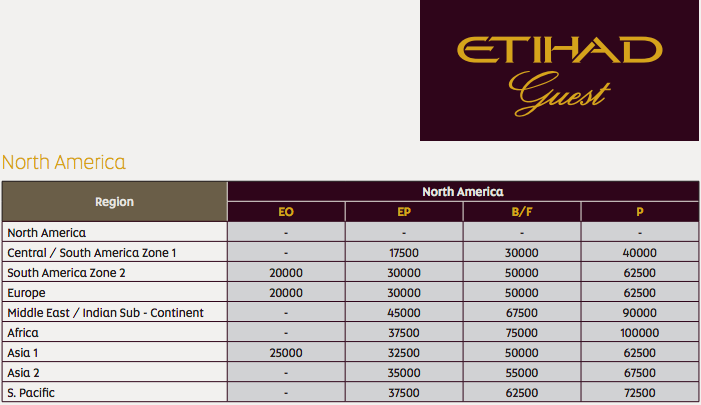 Etihad has different award prices for each partner, which can make things pretty complicated. 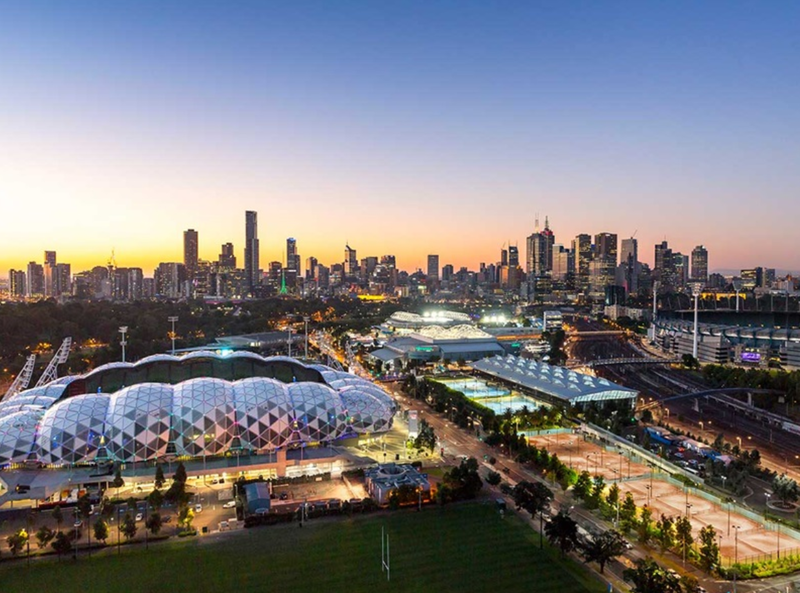 If you want to use Etihad miles to fly to Australia, I recommend focusing on award flights on American Airlines (because the award flight prices on Virgin Australia and Air New Zealand are considerably higher). Award Prices: Etihad’s award prices between the US and Australia on American Airlines are excellent, but available award seats can be hard to find. Business and First Class awards are particularly attractive, but those are the toughest award flights to find open seats on! 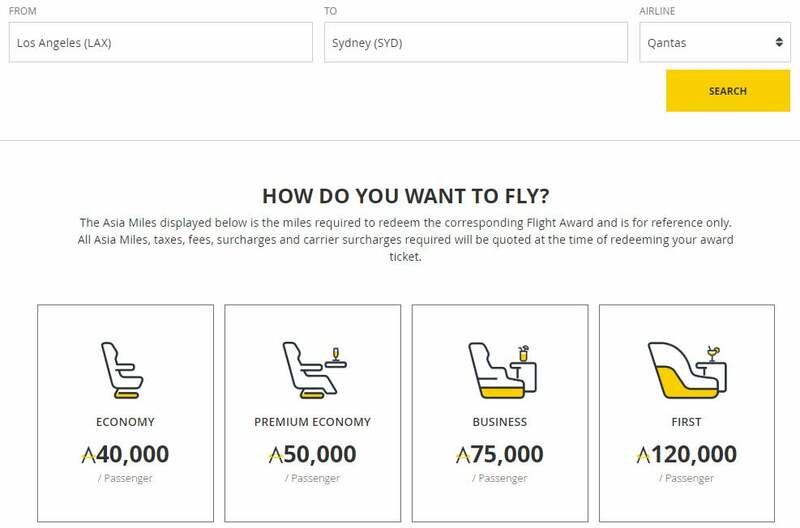 For a one-way flight from the US to Australia, you’ll pay 37,500 Etihad miles in coach, 62,500 Etihad miles in Business Class, or 72,500 Etihad miles in First Class. Each of these represents a great value—you’ll be more limited by finding available award seats than anything else. Fuel Surcharges: Very low on flights on American Airlines. Cons: Tough to find award flights, frustrating that you cannot book online. Other notes: I recommend searching for award flights at AA.com and then calling Etihad Guest to book. Happy hunting! Flying Blue is a transfer partner of all of the major transferable point currencies, and is a decent option for flights to Australia. To find out more about using Flying Blue miles to get to Australia, reference the Chase Ultimate Rewards section of this post. Qantas isn’t a bad program to work with, and they have a really good award search engine. But because they have a distance-based award chart, flights between the US and Australia are fairly expensive. Award Prices: Qantas has a distance-based award chart. If you’re flying from the US to Australia, most flights are going to be around 7,000 to 10,000 miles in length each way, depending on where in the US you are flying from and how many connections you need to make. This means that your one-way flights are likely going to fall into Zone 8 or Zone 9. Only Zone 8 pricing is really worth considering, and even then, only in coach. In most cases, you’ll want to book award flights to Australia with an airline that offers region based award pricing. 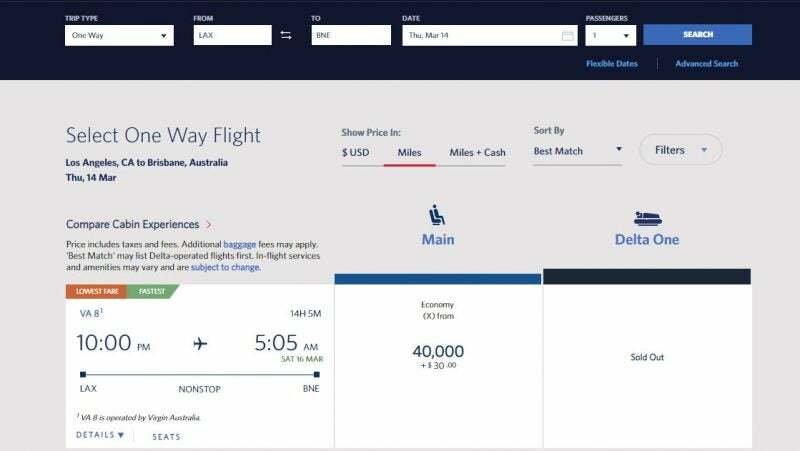 For one-way award flights from the US to Australia, expect to pay at least 45,000 Qantas points in coach, 72,000 Qantas points in Premium Economy, 96,000 Qantas points in Business Class, and 144,000 Qantas points in First Class. Although Qantas Offers Comfortable Flights to Australia, Award Pricing is Steep! You can check the approximate distance of your flights on gcmap.com and compare the cost of booking with Qantas and booking with Etihad if you want to fly American Airlines. Singapore Airlines is a transfer partner of all of the major transferable point currencies and offers great prices for flights to Australia. To find out more about using Singapore Airlines miles to fly to Australia, refer to the Chase Ultimate Rewards section of this post. Virgin Atlantic is a transfer partner of all of the major transferable point currencies. They sometimes have access to more Delta award seats than other partners, so they may be worth a look if you’re coming up short elsewhere! For more information on using Virgin Atlantic miles to fly to Australia, refer to the Chase Ultimate Rewards section of this post. Depending on how much your plane ticket costs, it doesn’t always make sense to transfer Citi ThankYou Points to airline partners for award flights. Instead, you might save points by booking a cheap fare through the Citi ThankYou Travel Portal (and earn miles when you fly!). Whether or not it makes sense to book through the Citi ThankYou Travel Portal will depend on a couple of things: How much the ticket costs, what transfer partner you would be using (and the points cost of your potential award ticket), and which Citi card(s) you have. Let’s start out with which Citi card you have. Things are simpler here than for Chase and AMEX. If you have the Citi Prestige or the Citi Premier Card, your ThankYou points are worth 1.25 cents each towards airfare (after September 1, 2019, Citi Prestige cardholders get 1 cent per point). If you have any other card that earns Citi ThankYou points, your points are worth 1 cent each. Generally, the cheaper your plane ticket is, the more likely it makes sense to redeem points through the Citi ThankYou Travel Portal instead of through a transfer partner. Depending on what miles you are using, these numbers wouldn’t necessarily be the same. To find out what the breakeven price would be, take the number of miles required and multiply by the value of your Citi points. For example, 75,000 Etihad miles X 0.0125 (for the Citi Prestige or Citi Premier) = $937.50. In this case, you would be better off booking through the Citi Travel Portal if you have the Citi Prestige or Citi Premier, compared to transferring and paying 75,000 Etihad miles for an award ticket. If you have other Citi cards, it would still cost less to transfer. Two other benefits to redeeming your points through the Citi ThankYou Travel Portal is that you don’t have to worry about finding available award seats or blackout dates. As long as there’s a seat available for sale, you will be able to book it, and you’ll also earn frequent flyer miles and credit toward status for your airline ticket! There have been a lot of changes made to the Marriott Rewards program as a result of the Marriott / Starwood merger this year. Basically, the transfer partners that used to be available to Marriott members, AND the transfer partners that were available to Starwood members, are now all available in the new Marriott Rewards program. AND, there are even 2 new airlines that weren’t available to either Starwood or Marriott in their previous rewards programs. Overall, there are a TON of airline partners available if you have Marriott points. All together, Marriott has 45 (!) airline transfer partners! We won’t go into details about how to fly to Australia with every single possible partner. Instead, I’ll discuss the Marriott transfer partners that I like best for travel down under. Here’s our guide to transferring Marriott points to airlines. 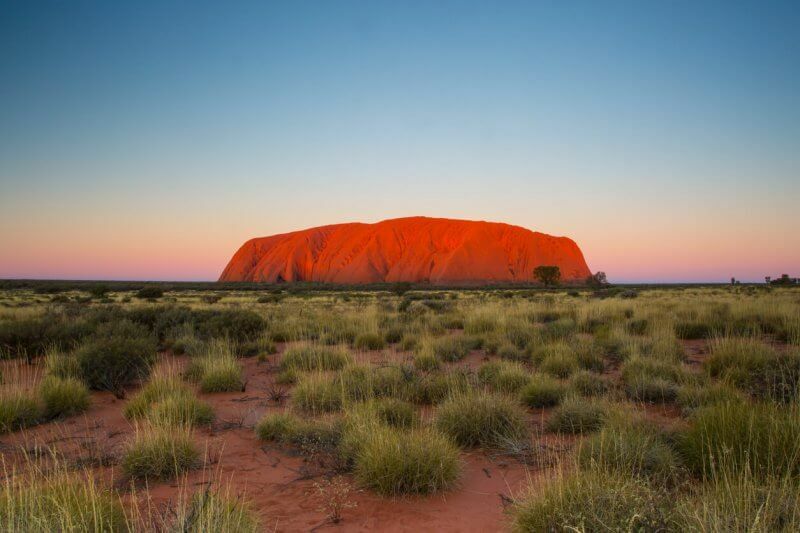 You Have a Ton of Options to Redeem Marriott Points for Award Flights to Australia! Marriott points aren’t your only option for transferring to Air Canada Aeroplan. You can also transfer American Express Membership Rewards points! To find out more about using your Air Canada Aeroplan miles to get to Australia, check out the AMEX Membership Rewards section. Alaska Airlines miles are a solid option for getting to Australia on Alaska Airlines’ partner airlines such as American Airlines, Qantas, and Cathay Pacific. But there are cheaper ways to book award flights on American Airlines, and you’ll probably want to avoid flying with Cathay Pacific because you would need to travel via Hong Kong. Additionally, Alaska Airlines isn’t a partner of any other transferable point currency, so they’re a little bit harder to earn than some of the other options. 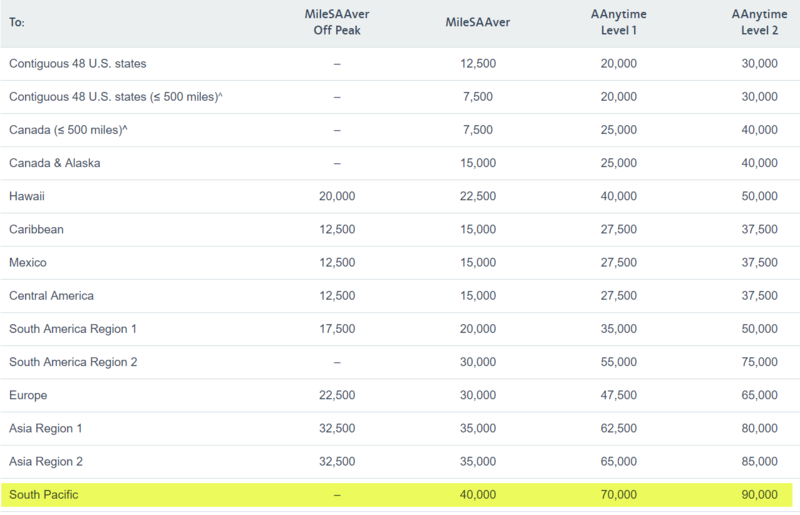 Nevertheless, if you can find award space on Qantas, Alaska Airlines miles are super valuable! 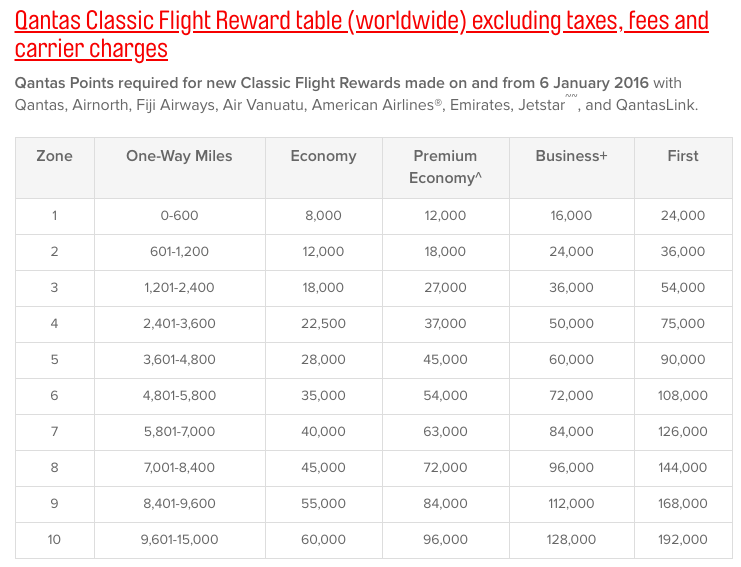 Award Prices: Alaska Airlines charges different award prices for each partner. So, depending on if you want to fly on American Airlines, Cathay Pacific, or Qantas, you’ll have to look at different award charts and pricing. 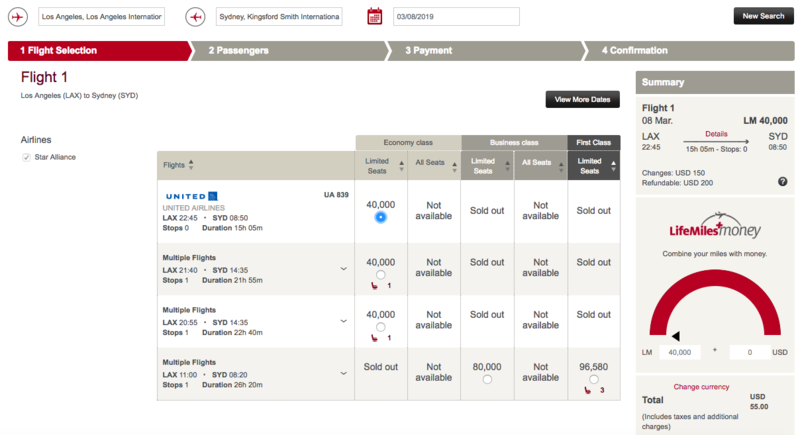 As you can see, prices on Qantas are the best of the three options. But you’ll probably find more award seats on flights with Cathay Pacific or American Airlines. And if you want to stop over in Hong Kong, traveling the long way through Asia might not be so bad! One of the best things about Alaska Airlines miles is the ability to do a stopover on a one-way award ticket! This means if you are flying Cathay Pacific, you could stopover in their hub, Hong Kong. If you’re flying American Airlines, you could spend a day or 2 Los Angeles or another American Airlines hub on your way to Australia. If you book your return flight with Alaska Airlines miles, you can have another stopover on your return itinerary. ANA is a great option for flights to Australia, but their fees and fuel surcharges can sometimes be quite high. They are also a transfer partner of AMEX Membership Rewards, giving you an option to pool your miles. 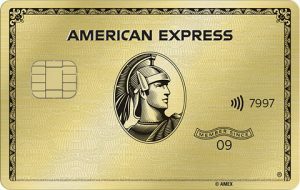 The award chart and routing rules are relatively complicated, but if you want to find out more, check out the AMEX Membership Rewards section of this post. You can use American Airlines miles to book flights on Air Tahiti Nui, American Airlines, Fiji Airways, and Qantas to get to Australia. 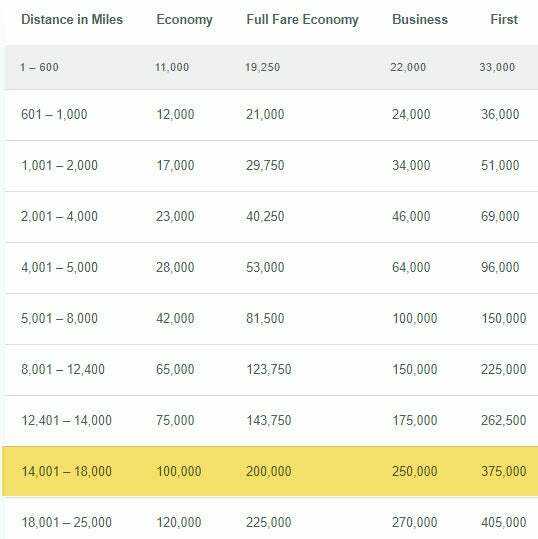 Coach prices are pretty good, especially if you are traveling during off peak times, but we generally wouldn’t recommend booking Business Class or First Class with American Airlines miles unless you don’t have other options. Note that American Airlines has 3 different price levels for travel to Australia: MilesSAAver, Anytime Level 1, and Anytime Level 2. Anytime Level 1 and 2 prices are NOT a good deal, so you shouldn’t book them. The Scenery and Adventure in Australia Will Make all the Complicated Award Bookings Totally Worth It! 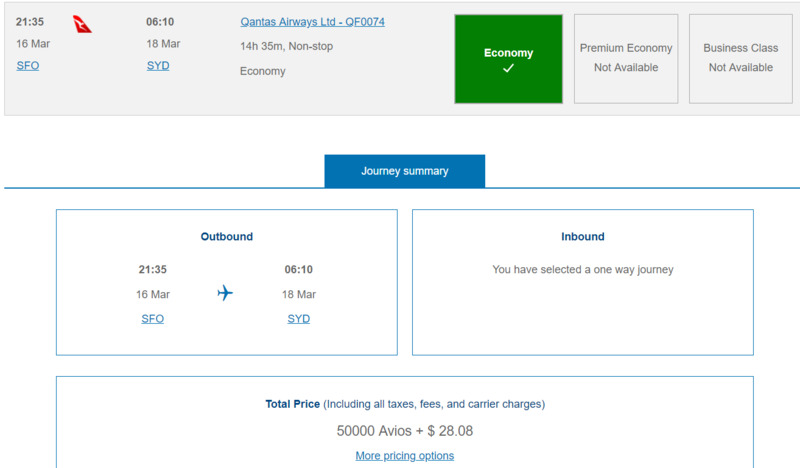 Award Prices: Booking flights with American Airlines miles to Australia can be a decent value and award flights cost a similar amount to many of American Airlines’ competitors. Coach prices are pretty reasonable, but I recommend transferring your Marriott points elsewhere if you want to fly in a premium cabin! American Airlines Offers Competitive Award Flight Prices as Long as You’re Happy Flying in Coach! Pros: Decently priced award chart, multiple partner award options. Cons: High Business Class and First Class prices, overall difficult to find SAAver award availability. Other notes: Searching for award flights on partner airlines is complicated and sometimes requires calling in! Avianca miles can be a valuable option for award flights to Australia on United Airlines. And Citi ThankYou points also transfer to Avianca miles. For more information on using Avianca miles to fly to Australia, visit the Citi ThankYou Point section of this post. British Airways presents a decent option for award flights to Australia IF you can find non-stop award flights. This option is most useful for folks on the West Coast or Dallas who can find non-stop flights that work with their schedule. 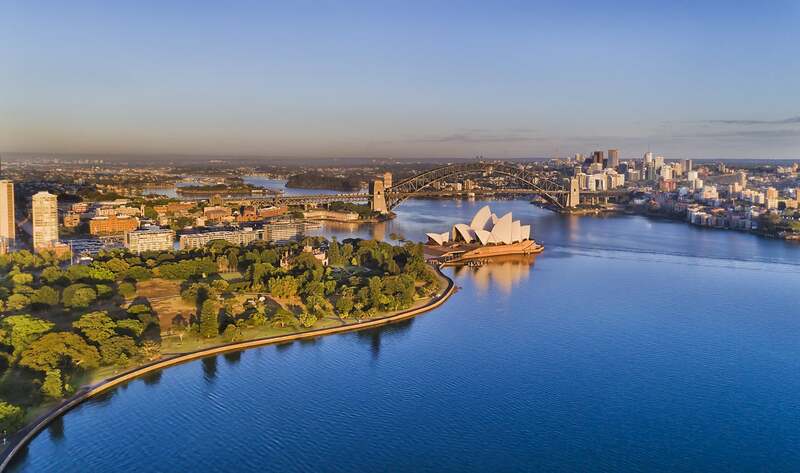 For more information on redeeming British Airways Avios points for flights to Australia, check out the Chase Ultimate Rewards section. The Cathay Pacific Asia Miles award chart is one of the more complex charts out there. But, if you’re willing to put in some extra time, there is great value to be had! For more information on redeeming Cathay Pacific Asia Miles for your Australian adventure, read more in the AMEX Membership Rewards section. Delta doesn’t publish an award chart anymore, so it can be difficult to know if you’re getting the lowest price possible. Nevertheless, they do occasionally offer award sales for flights to Australia which means your miles will go a lot further. For more information on using Delta miles to fly to Australia, check out the AMEX Membership Rewards section. We’ve already covered Etihad in the Citi ThankYou points section of this post, and they’re a great option if you can find award seats on American Airlines or if you need to combine points from multiple programs. To find out more about using Etihad miles to get to Australia, visit the Citi ThankYou points section of this post. KLM/Air France Flying Blue miles offer a decent option for award flights to Australia, but award prices are fairly high. Additionally, you’ll probably have a tough time finding low level award seats. On the other hand, Flying Blue is also transfer partners with Chase Ultimate Rewards, AMEX Membership Rewards, AND Citi ThankYou points, giving you great ability to combine miles from multiple programs. If you want to read about using Flying Blue miles to fly to Australia, visit the Chase Ultimate Rewards section of this post. Iberia offers a distance-based award chart which can be very valuable if you have relatively short flights (even if they involve a connection!). But because of the long distances to fly to the South Pacific, Iberia isn’t my favorite transfer partner when Marriott has so many other choices. Iberia is also a transfer partner of Chase Ultimate Rewards and AMEX Membership Rewards, giving you the opportunity to combine your points. 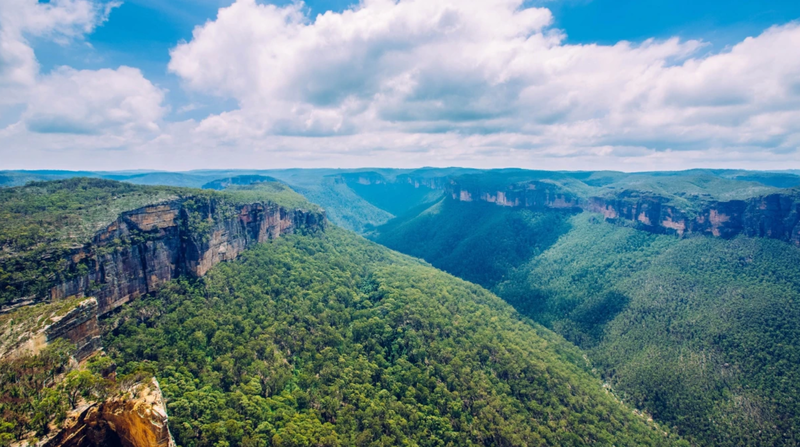 The Blue Mountains Make for a Fantastic Day Trip From Sydney–Don’t Miss Them! If you want to find out more about using Iberia Avios points to get to Australia, visit the AMEX Membership Rewards section of this post. Lufthansa miles are a pretty useful option for United Airlines flights to Australia. Like United Airlines, they are a member of Star Alliance. Unfortunately, Lufthansa miles aren’t that easy to earn because they are not a transfer partner of any of the other major transferable point currencies. 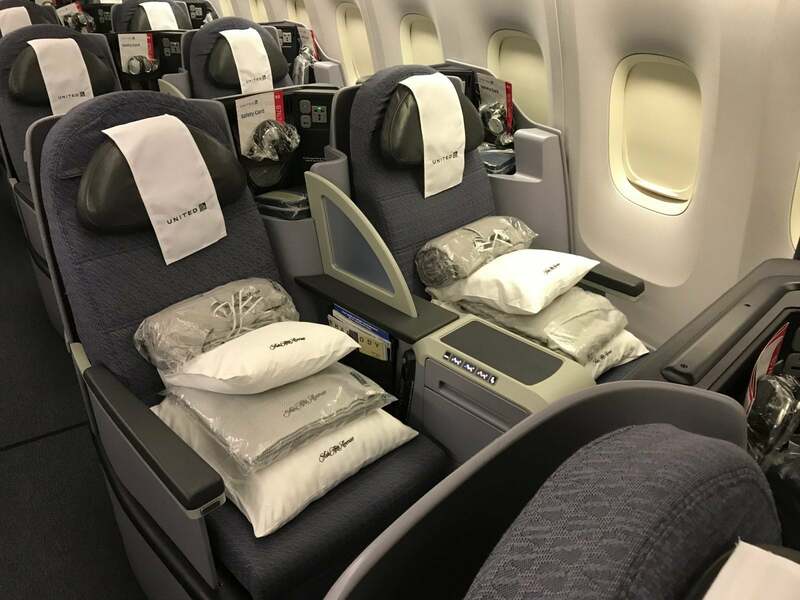 Award Prices: Lufthansa has a zone-based award chart, and award prices from the US to Australia start at 80,000 Lufthansa miles round-trip in coach. Business Class awards cost 135,000 Lufthansa miles and First Class awards cost 210,000 Lufthansa miles for round-trip bookings. One-way award bookings are allowed and cost half of what a round-trip booking does. Lufthansa allows 2 stopovers on round-trip awards, which can be incredibly helpful if you want to see a few different Aussie cities! Qantas also offers a distance-based award chart and they have one of the best award search engines for oneworld flights. They’re not going to be the best award option for everyone, but in certain circumstances they can be! To find out more about using Qantas points to get to Australia, read the Citi ThankYou point section. Singapore Airlines is a decent option for flights to Australia, made even better by the fact that they are a transfer partner of Chase Ultimate Rewards, AMEX Membership Rewards, and Citi ThankYou points in addition to Marriott Rewards. To find out more about using Singapore Airlines miles to get to Australia, check out the Chase Ultimate Rewards section of this post. As I mentioned above, United Airlines miles are probably my favorite option for booking award flights to Australia. United Airlines’ award search engine is straightforward, and you generally won’t have too much trouble finding available award seats, as long as you’re at least a little bit flexible. Transfer ratio: 3:1.1 with a 5,000 mile bonus for transfers in increments of 60,000 Marriott Rewards points. So if you transfer 60,000 Marriott points to United Airlines, you’ll end up with 27,000 United Airlines miles. If you want to find out more about using United Airlines miles to fly to Australia, visit the Chase Ultimate Rewards section of this post. Virgin Atlantic miles are a great way to access Delta award flights to Australia (if you can find low level award seats!). Virgin Atlantic is a transfer partner of Chase Ultimate Rewards, AMEX Membership Rewards, and Citi ThankYou points in addition to Marriott Rewards. For more information on using Virgin Atlantic Miles to get to Australia, visit the Chase Ultimate Rewards section of this post. Although Australia is on many folks’ bucket lists, the long travel time, different seasons, and expensive flights can be prohibitive! But by using your Chase Ultimate rewards, AMEX Membership Rewards, Citi ThankYou, or Marriott points, you can save big or even fly in style for the long trip Down Under. But keep in mind that award flights can be tough to find, and sometimes you’ll be better off buying your flights through the Chase Ultimate rewards portal, AMEX Travel, or the Citi ThankYou portal, especially if you can find reasonably priced coach flights. Have you been to Australia? How did you pay for your flights? Great article! I’m an Australian living in the US so this is great. Work is paying for my family to fly from NY to Melbourne in economy. Question: I haven’t booked tickets yet, what are good airlines for booking an economy ticket and then using points to get upgraded to business? Very nice and detailed article. Thanks.